The smaller version of Nintendo’s more powerful New 3DS line of handhelds may finally make it to North America, thanks to popular demand. At least that’s what we think Nintendo of America president Reggie Fils-Aime was hinting to me when we discussed Nintendo’s most capable handheld at E3. The term “SKU” basically refers to models. What about exclusive New 3DS games? Since the system’s launch in Japan last year and its subsequent launch in Europe, North America and elsewhere, there has been only one Nintendo-published game made just for the more powerful New 3DS. All other 3DS games work on new and old models. Even at E3, new games including a Zelda and a 2016 Metroid spin-off are made to run on the standard 3DS and New 3DS. Fils-Aime said that Nintendo is trying not to split its New 3DS user base, but noted that Amiibo-centric games such as Animal Crossing Happy Home Designer, benefit from the New 3DS’ built-in sensors. To use an Amiibo on a traditional 3DS, you need a peripheral. 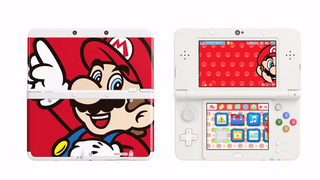 There will eventually be more games made just for the New 3DS, Fils-Aime confirmed. “There are digital games coming out that are specific to New Nintendo 3DS.” Those download-only games are unannounced, for now.